DIRTT Environmental Solutions’ goal is to build and deliver complete, well-designed, high-quality interior spaces faster and more efficiently than traditional construction methods, which can entail cost overruns, inconsistent quality, delays and significant material waste. “DIRTT’s business model is very different for the construction industry in that everything we do is predicated on technology,” said president Scott Jenkins, who joined the 10-year-old, Calgary-headquartered company in December 2006. DIRTT (Doing It Right This Time) uses its proprietary 3D ICE software to design, manufacture and install fully customized prefabricated interiors for clients in the corporate, government, education and healthcare sectors, and will move into the multi-family residential business this summer. The technology allows for precise design and costing, rapid lead times with high levels of customization and flexibility, and faster and cleaner construction. The technology shares similarities with that used in cutting-edge video games and enables the configuration, engineering, architecture and design components of projects to be handled in real time. That data is fed immediately to DIRTT’s manufacturing facilities in Phoenix, Savannah, Ga., Kelowna and Calgary, and then makes its way to project management teams and installation crews. “It takes the whole delivery process and reduces errors and timelines,” said Jenkins. “We sell through local distribution partners. Conventional construction costs usually have a split of around 70 per cent labour and 30 per cent materials, which can lead to cheaper materials being used to reduce costs. Many tradespeople are aging baby boomers and, for every four who retire, only one young person is entering the trades. Jenkins said DIRTT is looking to take advantage of this potentially problematic situation. * and partnering with industry leaders on their solutions, with a recent example being the Corning Willow Glass initiative signed in February. While that all sounds impressive, Jenkins said DIRTT still has only “0.1 per cent of the total addressable market for North America right now” and has a long way to go. “We have to evangelize and do a lot of education with potential clients before we even start the sales process because we are so different. That takes up a lot of resources and there are challenges. This is a new way for North Americans to think and we have to overcome that bias. Microsoft, eBay and Devon Energy are other major companies that have been serviced by DIRTT’s 700 employees across North America. Jenkins is confident in the assertion it has no comparable competitors. “There are companies out there that say they do everything DIRTT does, but with our intellectual property in ICE, nobody does what we do. We’re the only pre-manufactured solution that can build out a full hospital room or a neo-natal intensive care unit in Mecca, Saudi Arabia. 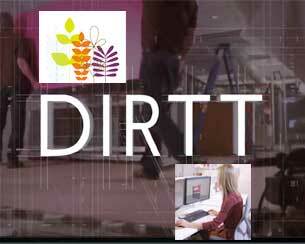 DIRTT (DRT-T) went public on the Toronto Stock Exchange on Nov. 28, 2013 and several who invested in the initial public offering have remained and increased their stakes in the company, which had net income of $5.95 million on revenues of $187.33 million in 2014. The company has a market cap of about $643 million and its stock is trading around $8.30 per share, three times its 52-week low and not too far off its 52-week high of $9.19. DIRTT’s latest quarterly results released earlier this month showed 40 per cent revenue growth over the same quarter a year earlier after the company registered a 35 per cent year-over-year increase in 2014. DIRTT recently raised $37.6 million in new financing from a syndicate of underwriters led by Raymond James Ltd. that will be put towards a combination of growth initiatives. “We don’t know what opportunities are going to come at us, so we want to be flexible and nimble,” said Jenkins. “This financing brought very little dilution to the company and we got some great new shareholders in the company who will be very supportive of us going forward.